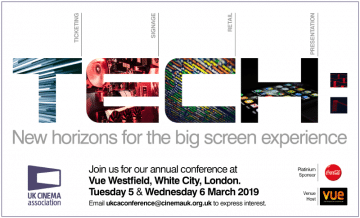 The UK Cinema Association has today put tickets on sale for its upcoming conference ‘TECH – New horizons for the big screen experience’. 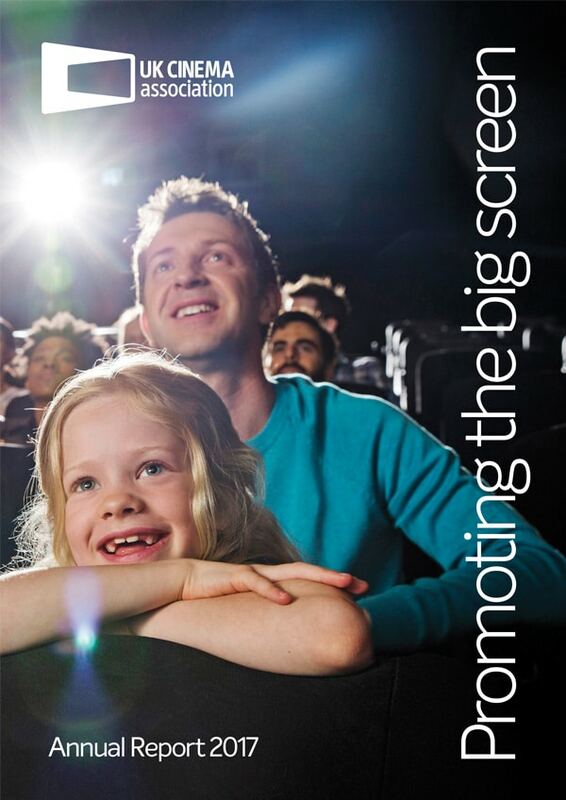 The event – which will be held on Tuesday 5 and Wednesday 6 March at Vue Westfield, White City, London – will focus on different aspects of cinema technology including areas such as ticketing, signage and display, retail and presentation. The event is expected to attract over 400 professionals from across the cinema industry, including a wide range of Association members as well as colleagues from film distribution, screen advertising, technology maintenance and supply, retail etc. As such it also provides hugely valuable networking opportunities. Standard tickets are available at £130 plus VAT. This covers both days.